By using this site and/or app after we post any changes to these terms and conditions, you agree to accept those changes, whether or not you have reviewed them. If at any time you choose not to accept these terms and conditions of use, please do not use this site and/or app. These terms and conditions apply to your use of the Website and/or app and services owned or operated by Solutions XYZ LLC, referred to here as Solutions XYZ and collectively "we," "us," or "our", including SolutionsXYZ.com (the “Website” or “app”), and any other site and/or app that we own and operate or may own or operate in the future. Unless we say otherwise, all references to the Website and/or app in these terms and conditions include all such sites and/or apps. Other sites and/or apps may link to the Website and/or app only through a plain-text link. Permission must be granted by us for any other type of link to the Website and/or app. To seek our permission, you may write to Solutions XYZ at administrator@SolutionsXYZ.com. We reserve the right, however, to rescind any permission granted by us to link through a plain-text link or any other type of link, and to require termination of any such link to the Website and/or app, at our discretion at any time. The Website and/or app is made available for your personal, non-commercial use only. You may not use the Website and/or app, in whole or in part, for any purpose that is unlawful or prohibited by these Terms and Conditions. Commercial entities, including governmental bodies, regulatory agencies, and media organizations, must obtain a commercial license from Solutions XYZ to access the Website and/or app. Any entity which makes commercial use of the Website and/or app without first obtaining a commercial license will have its access terminated, and will be subject to the Liquidated Damages provision below. Furthermore, you may not use the Website and/or app to sell a product or service, or to increase traffic to your web site and/or app for commercial reasons, such as advertising sales. You may not take the results from a website and/or app search and reformat and display them, or mirror the Website and/or app home page or results pages on your web site and/or app. You may not "meta-search" the Website and/or app. You agree that you will not modify, copy, distribute, transmit, display, perform, reproduce, publish, license, transfer, download, post, create derivative works from, frame in another web page, use on any other web site and/or app, transfer or sell any information, software, lists of users, databases or other lists, products or services provided through or obtained from the Website and/or app, including, but not limited to the text, graphics, logos, photos, and audio and visual files, without express written permission from Solutions XYZ. This means, among other activities, that you agree not to engage in the practices of "screen scraping," "database scraping," or any other activity with the purpose of obtaining lists of users or other information. You agree that you will not use the SolutionsXYZ.com Website and/or app in any manner that could damage, disable, overburden, or impair the Website and/or app or interfere with any other party's use and enjoyment of the Website and/or app. You may not obtain or attempt to obtain any materials or information through any means not intentionally made available or provided for through the SolutionsXYZ.com Website and/or app. We reserve the right to charge fees, surcharges and/or membership fees for all or any of our services currently provided at no charge at any time upon prior notice. When you visit SolutionsXYZ.com or send e-mails to us, you are communicating with us electronically. You consent to receive communications from us electronically. We will communicate with you by e-mail or by posting notices on the Website and/or app. You agree that all agreements, notices, disclosures and other communications that we provide to you electronically satisfy any legal requirement that such communications be in writing. We welcome your comments about the Website and/or app. However, unless the Website and/or app has set up a specific submissions policy, we will not review or consider any unsolicited creative submissions. We hope you will understand that this policy is intended to avoid the possibility of future misunderstandings in the event that projects developed by our professional staff might seem to others to be similar to their own creative work. Accordingly, we must ask that you not send us any original creative ideas, suggestions or materials. If, despite our request, you send us any creative idea, suggestion or material ("Submission"), it shall become our property. No Submission will be subject to any obligation of confidence by us, and we will not be liable for any use or disclosure of any Submission. We will exclusively own all known or later-existing rights to the Submission worldwide, and will be entitled to the unrestricted use of the Submission for any purpose, without compensation to the provider of the Submission. In the event registration is required for use of the Website and/or app or any part of it, we may, at our discretion, suspend or terminate the registration of any general user who violates any of these terms and conditions of use, any of the forum member guidelines or for any other behavior that we in our discretion believe is inappropriate. The information and materials on the Website and/or app could include technical inaccuracies or typographical errors. Changes are periodically made to the information contained herein. The information, photography, text, graphics and other materials provided on the Website and/or app are intended solely for informational purposes and are not intended to constitute an offer or solicitation, or advice or an opinion to buy, sell, or trade any products or services. While we make every effort to provide accurate information on the Website and/or app, we cannot guarantee that all of the information on our Website and/or app is correct or current. THE SERVICES, PRODUCTS AND MATERIALS ON THIS SITE AND/OR APP, IF ANY, ARE PROVIDED "AS IS" AND WITHOUT WARRANTIES OF ANY KIND, EITHER EXPRESS OR IMPLIED. WE DISCLAIM ALL WARRANTIES, EXPRESS OR IMPLIED, INCLUDING BUT NOT LIMITED TO IMPLIED WARRANTIES OF MERCHANTABILITY AND FITNESS FOR A PARTICULAR PURPOSE. NEITHER WE NOR ANY OF OUR RESPECTIVE LICENSORS OR SUPPLIERS WARRANT THAT ANY FUNCTIONS CONTAINED IN THE WEBSITE AND/OR APP WILL BE UNINTERRUPTED OR ERROR-FREE, THAT DEFECTS WILL BE CORRECTED, OR THAT THE WEBSITE AND/OR APP OR THE SERVER THAT MAKES THEM AVAILABLE ARE FREE OF VIRUSES OR OTHER HARMFUL COMPONENTS. NEITHER WE NOR ANY OF OUR RESPECTIVE LICENSORS OR SUPPLIERS WARRANT OR MAKE ANY REPRESENTATIONS REGARDING THE USE OR THE RESULTS OF THE USE OF THE SERVICES, PRODUCTS OR MATERIALS IN THIS SITE AND/OR APP IN TERMS OF THEIR CORRECTNESS, ACCURACY, RELIABILITY, OR OTHERWISE. YOU (AND NOT WE OR ANY OF OUR RESPECTIVE LICENSORS OR SUPPLIERS) ASSUME THE ENTIRE COST OF ALL NECESSARY SERVICING, REPAIR OR CORRECTION TO YOUR SYSTEM. YOU UNDERSTAND AND AGREE THAT YOU DOWNLOAD OR OTHERWISE OBTAIN MATERIAL OR DATA THROUGH THE USE OF THE WEBSITE AND/OR APP AT YOUR OWN DISCRETION AND RISK AND THAT YOU WILL BE SOLELY RESPONSIBLE FOR ANY DAMAGES TO YOUR COMPUTER SYSTEM OR LOSS OF DATA THAT RESULTS FROM THE DOWNLOAD OF SUCH MATERIAL OR DATA. We do not endorse, warrant or guarantee any products or services offered on the Website and/or app. We are not a party to, and do not monitor, any transaction between users and third party providers of products or services. UNDER NO CIRCUMSTANCES SHALL SOLUTIONS XYZ BE LIABLE TO ANY USER ON ACCOUNT OF THAT USER'S USE OR MISUSE OF OR RELIANCE ON THE WEBSITE AND/OR APP OR OTHER SOLUTIONS XYZ SERVICES ARISING FROM ANY CLAIM RELATING TO THE USE OF THIS SITE AND/OR APP, OR INFORMATION OR NOTIFICATIONS CONTAINED, OBTAINED, OR ACCESSED THROUGH THIS SITE AND/OR APP, OR OTHERWISE TRANSMITTED TO THE USER BY OR ON BEHALF OF SOLUTIONS XYZ. BY USING THIS SITE AND/OR APP AND OUR SERVICES, YOU UNDERSTAND AND ACCEPT THAT THE INFORMATION WE PROVIDE CAN BE INACCURATE AND INCOMPLETE; YOU ASSUME THAT RISK, AS WELL AS THE RISK OF ALL DECISIONS YOU MAKE BASED UPON OR AS A CONSEQUENCE OF RECEIVING OR NOT THE INFORMATION OR ANY NOTIFICATIONS. THIS LIMITATION OF LIABILITY SHALL APPLY TO PREVENT RECOVERY OF DIRECT, INDIRECT, INCIDENTAL, CONSEQUENTIAL, SPECIAL, EXEMPLARY, AND PUNITIVE DAMAGES WHETHER SUCH CLAIM IS BASED ON WARRANTY, CONTRACT, TORT (INCLUDING NEGLIGENCE), OR OTHERWISE, (EVEN IF SOLUTIONS XYZ HAS BEEN ADVISED OF THE POSSIBILITY OF SUCH DAMAGES). SUCH LIMITATION OF LIABILITY SHALL APPLY WHETHER THE DAMAGES ARISE FROM USE OR MISUSE OF AND RELIANCE ON THE WEBSITE AND/OR APP OR OTHER SOLUTIONS XYZ SERVICES, FROM INABILITY TO USE THE WEBSITE AND/OR APP OR OTHER SERVICES, OR FROM THE INTERRUPTION, SUSPENSION, OR TERMINATION OF THE WEBSITE AND/OR APP OR OTHER SERVICES (INCLUDING SUCH DAMAGES INCURRED BY THIRD PARTIES). THIS LIMITATION SHALL ALSO APPLY WITH RESPECT TO DAMAGES INCURRED BY REASON OF OTHER SERVICES OR GOODS RECEIVED THROUGH OR ADVERTISED ON THE WEBSITE AND/OR APP OR RECEIVED THROUGH ANY LINKS PROVIDED IN THE WEBSITE AND/OR APP, AS WELL AS BY REASON OF ANY INFORMATION OR ADVICE RECEIVED THROUGH OR ADVERTISED ON THE WEBSITE AND/OR APP OR RECEIVED THROUGH ANY LINKS PROVIDED IN THE WEBSITE AND/OR APP. THIS LIMITATION SHALL ALSO APPLY, WITHOUT LIMITATION, TO THE COSTS OF PROCUREMENT OF SUBSTITUTE GOODS OR SERVICES, LOST PROFITS, OR LOST DATA. SUCH LIMITATION SHALL FURTHER APPLY WITH RESPECT TO THE PERFORMANCE OR NON-PERFORMANCE OF THE WEBSITE AND/OR APP OR OTHER SOLUTIONS XYZ SERVICES OR ANY INFORMATION OR MERCHANDISE THAT APPEARS ON, OR IS LINKED OR RELATED IN ANY WAY TO, THE WEBSITE AND/OR APP OR THOSE SERVICES. SUCH LIMITATION SHALL APPLY NOTWITHSTANDING ANY FAILURE OF ESSENTIAL PURPOSE OF ANY LIMITED REMEDY AND TO THE FULLEST EXTENT PERMITTED BY LAW. Without limiting the foregoing, under no circumstances shall Solutions XYZ be held liable for any delay or failure in performance resulting directly or indirectly from acts of nature, forces, or causes beyond its reasonable control, including, without limitation, Internet failures, computer equipment failures, telecommunication equipment failures, other equipment failures, electrical power failures, strikes, labor disputes, riots, insurrections, civil disturbances, shortages of labor or materials, fires, floods, storms, explosions, acts of God, war, governmental actions, orders of domestic or foreign courts or tribunals, non-performance of third parties, or loss of or fluctuations in heat, light, or air conditioning. 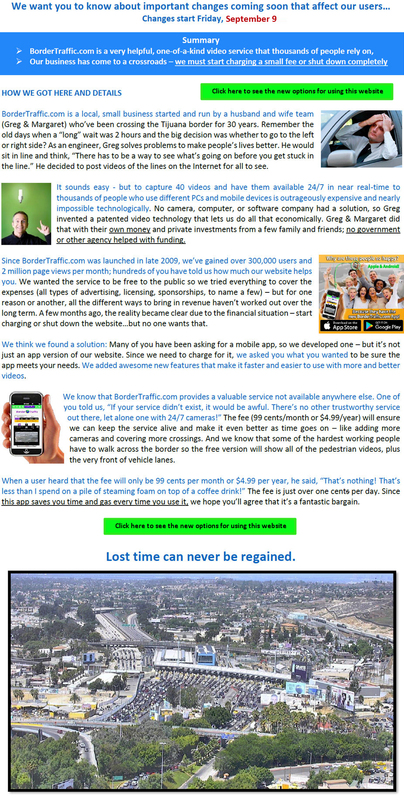 The information contained in or made available through the Website and/or app (including but not limited to information contained on message boards, in text files, or in chats) cannot replace or substitute for the services of trained professionals in any field, including, but not limited to, traffic conditions, highway and road hazards, and barriers and check points established by governmental authorities, as well as medical, financial, or legal matters. We and our licensors or suppliers make no representations or warranties concerning any information offered or provided within or through the Website and/or app. Neither we nor our partners, or any of their affiliates, will be liable for any direct, indirect, consequential, special, exemplary or other damages that may result, including but not limited to economic loss, injury, illness or death. Some of the information available on the Website and/or app, such as images shown on video cameras and other monitoring equipment, may not be appropriate for children. Further, the Website and/or app is not directed to children under the age of 13 and we will not knowingly collect personally identifiable information from children under 13. WE STRONGLY RECOMMEND THAT PARENTS PARTICIPATE IN THEIR CHILDREN'S EXPLORATION OF THE INTERNET AND ANY ONLINE SERVICES AND USE THEIR BROWSER'S PARENTAL CONTROLS TO LIMIT THE AREAS OF THE INTERNET TO WHICH THEIR CHILDREN HAVE ACCESS. We control and operate this site and/or app from our offices in the United States of America. We do not represent that materials on the site and/or app are appropriate or available for use in other locations, except for those proximate to the locations that we monitor. Access to the Website and/or app from territories where the contents of the Website and/or app may be illegal is prohibited. Persons who choose to access this site and/or app from other locations do so on their own initiative, and are responsible for compliance with local laws, if and to the extent local laws are applicable. The information, photography, text, graphics and other materials provided on the Website and/or app are intended solely for informational purposes only and are not intended to constitute an offer or solicitation, or advice or an opinion to buy, sell, or trade any asset or financial instrument. While we make every effort to provide accurate information on the Website and/or app, we cannot guarantee that all of the information on our Website and/or app is correct or current.